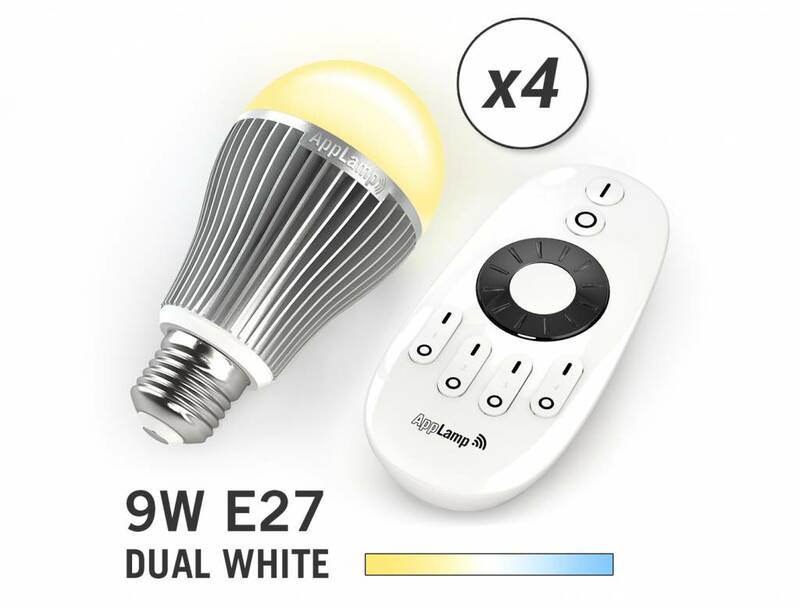 Four Dual White LED bulbs with 9 Watt LED. 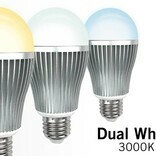 Dimmable and variable color temperature from warm white to daylight. 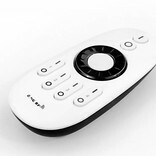 Complete with remote control. Optional ordering: Wireless Box with APP. 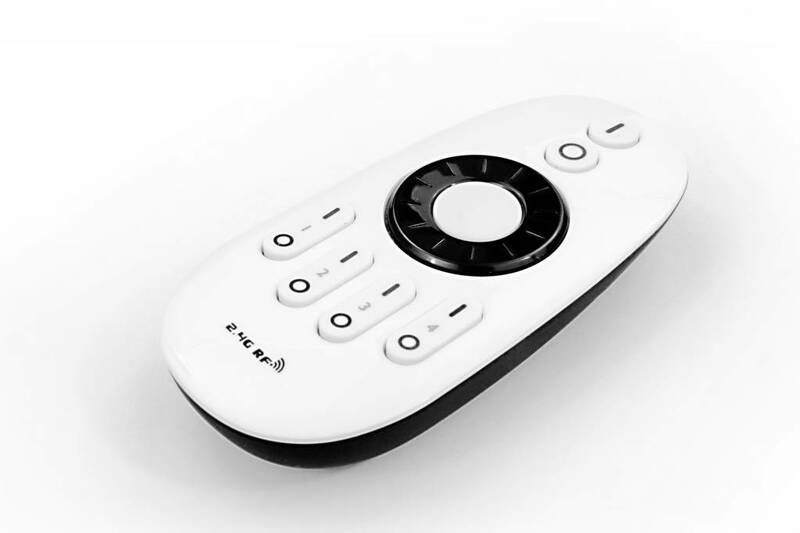 With the 4-channel remote, 4 light groups can be separately adjusted. 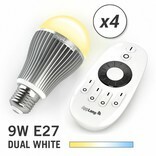 With a power consumption of only 9 Watt (7.5 Watt LEDs) you still get the light from a normal 60 watt bulb. 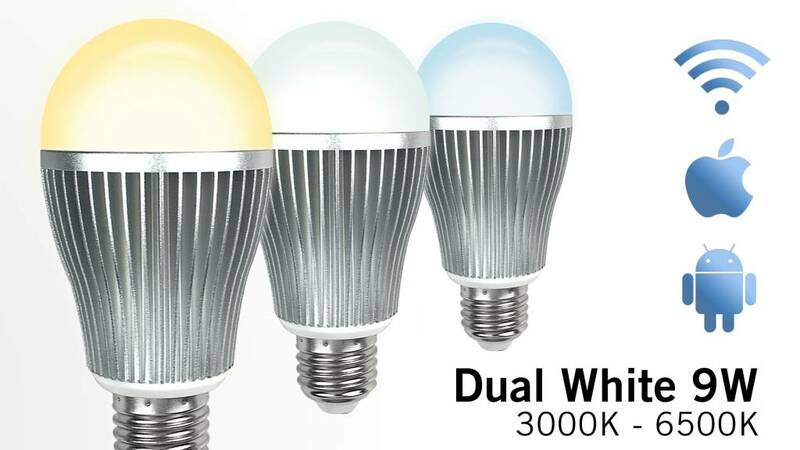 You save 80% energy and Wifi LED lamps also have a lifespan of 50,000 hours!